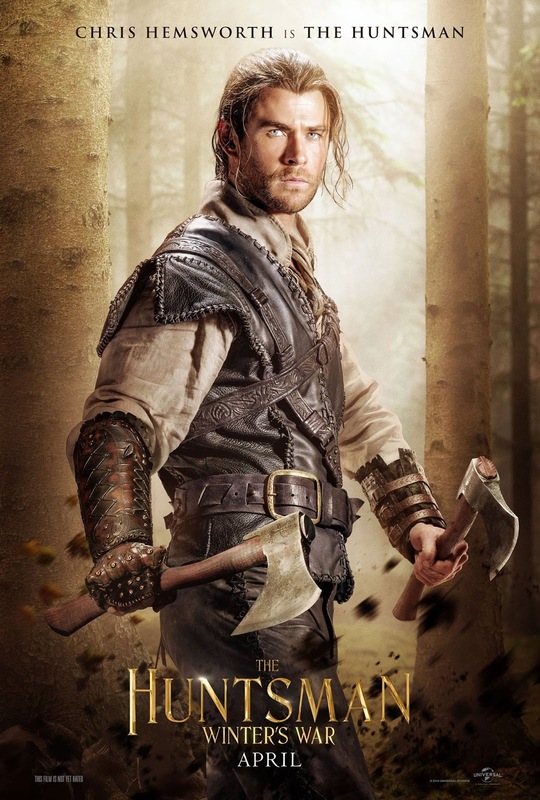 Chris Hemsworth returns as the infamous Huntsman, and as usual, he will be surrounded by ladies trying to subtly seduce or kill him... but he will be missing his original partner in crime from the original story: Snow White will not be around. The movie stars Chris Hemsworth, Charlize Theron, Emily Blunt, Jessica Chastain, Nick Frost. It is directed by Cedric Nicolas-Troyan, based on the screenplay by Evan Spiliotopoulos and Craig Mazin, and Joe Roth as producer. 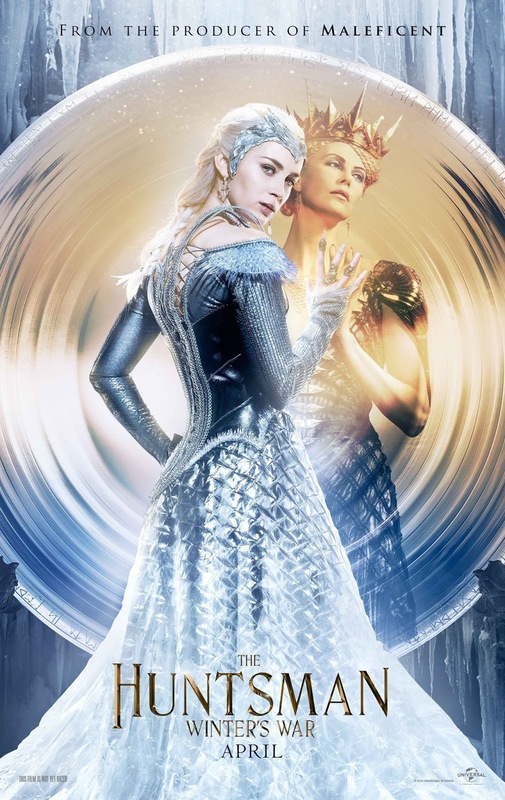 Check out the trailer of The Huntsman: Winter's War. And don't miss this fantastic poster's featuring the only male lead, Chris Hemsworth, and these stunning femme fatales. Long before the evil Queen Ravenna was thought vanquished by Snow White’s blade, she watched silently as her sister, Freya, suffered a heartbreaking betrayal and fled their kingdom. 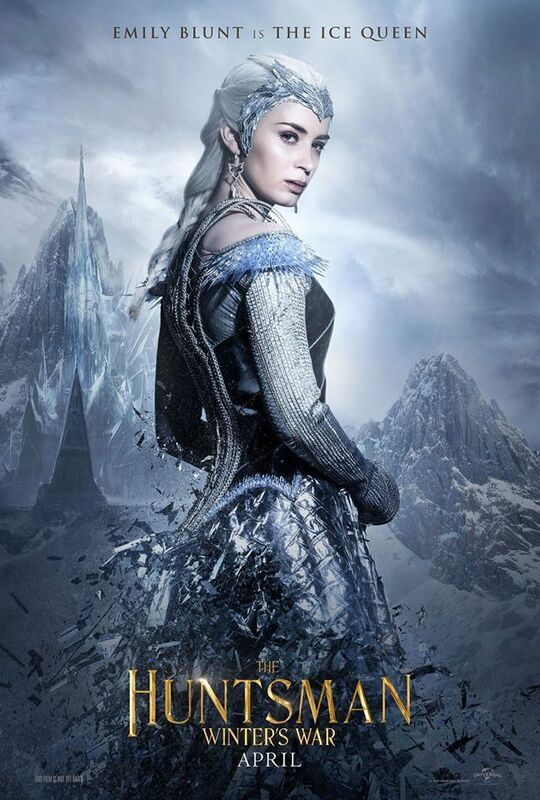 With Freya’s ability to freeze any enemy, the young ice queen has spent decades in a remote wintry palace raising a legion of deadly huntsmen—including Eric and warrior Sara—only to find that her prized two defied her one demand: Forever harden your hearts to love. 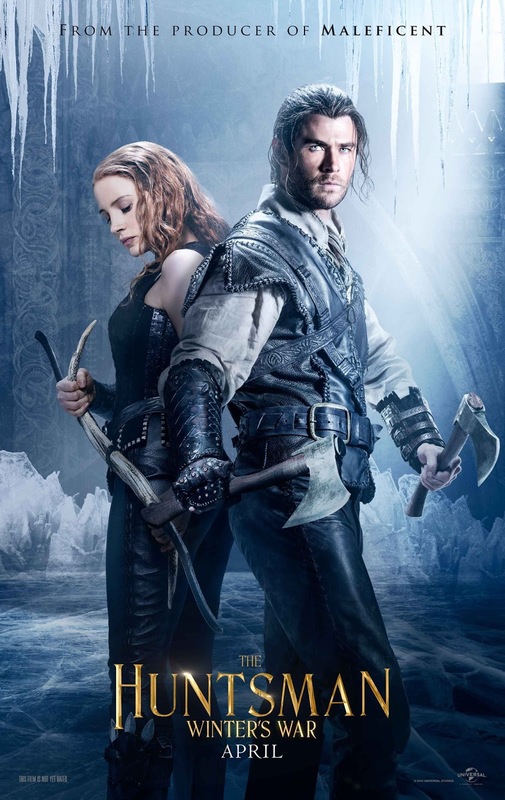 The Huntsman: Winter's War will hit cinemas on April 22, 2016.